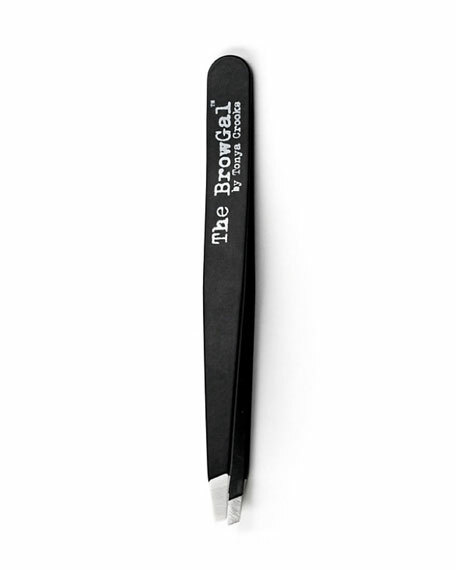 Meticulously custom-designed for The Brow Gal by a high-end Italian knife company, our tweezers are an essential component in Tonya's repertoire to tailor proportional eyebrows to each person's unique facial structure. Made with triple pounded steel with a precision slanted tip, The Brow Gal Tweezers will last longer than your current pair and are the ultimate tool for flawless hair extraction and perfectly shaped brows! Description:Features the Slant and Point tweezers in a smaller size, matched with a leather case. Perfect for purse and travel.